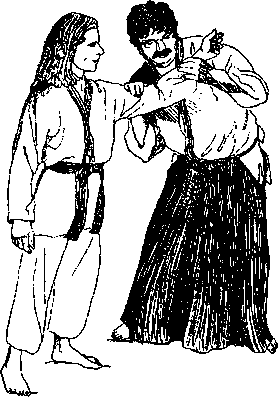 In this classic exercise, uke tries to bend nage's extended arm at the elbow while nage keeps the arm strong but relaxed, extending ki and attention beyond the arm. Uke tests gently at first with steadily increasing challenge as nage learns the feel. Once learned, nage will be able to maintain Unbendable Arm, exhibiting a strength beyond all apparent physical capacity. 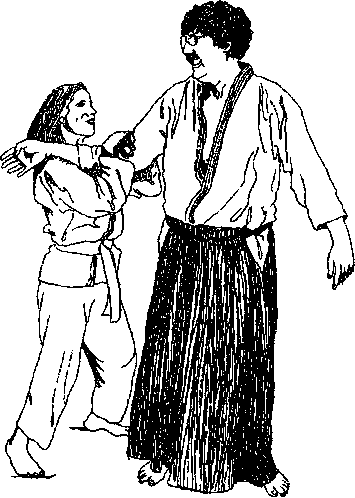 A smaller or weaker uke may test nage's Unbendable Arm by placing nage's hand on his shoulder then placing his own hands on nage's elbow joint and dropping weight underside. If there is a serious height difference, the taller partner may kneel or sit. Imagine a water pump in the abdomen that pumps water up through the torso, through the arm and out the fingers like water through a fire-hose. Imagine touching the wall on the opposite side of the room. Reach out to touch the finger of a third person. 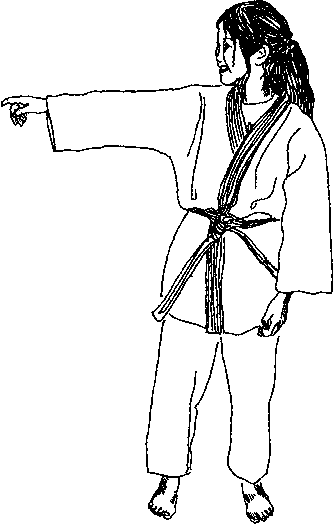 Unbendable Arm illustrates the power of a goal outside the immediate battlefield (the elbow), and the weakness of tension and fixation. This exercise also illustrates the common misunderstanding of what strength really is and what it really is not. From a purely muscular (and simplified) standpoint, two antagonistic muscles are involved in Unbendable Arm: biceps brachii and triceps bracchi. 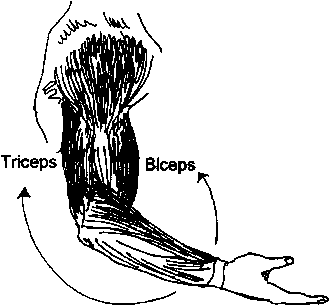 Biceps flexes (bends) the arm, while triceps extends (straightens) it. 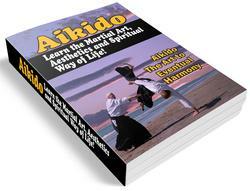 Keeping the arm extended while uke tries to bend it requires only triceps. If biceps is tense and tight during this exercise, energy is being diverted to fighting triceps; you are fighting yourself. Uke or a third partner can help by checking the tension of the biceps muscle during the course of the exercise.